Back again with the next installment of the Merlin Saga! 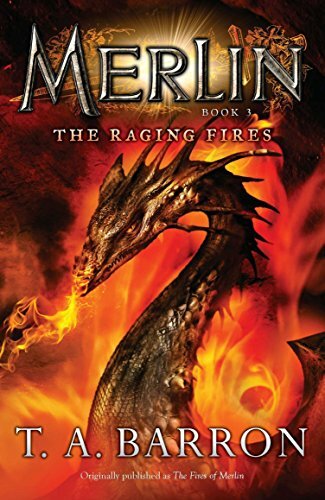 When the long sleeping dragon, Wings of Fire, is awakened and threatens to destroy the entire land of Fincarya, Merlin is tasked with defeating him to restore peace and order. 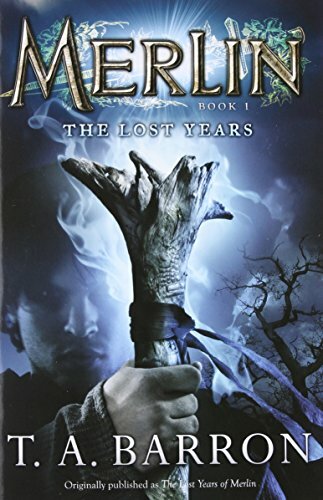 Merlin is still developing and learning his skills and talents with magic and an ancient prophecy predicts his demise if he faces the dragon in battle. Filled with trepidation, Merlin sets off to locate the dragon and defend the land he now calls home. Along the way Merlin encounter other lethal foes, fiercely determined to provide him with a disadvantage against the dragon, and some worse, kill him outright. Merlin must face not only formidable foes, but an inner struggle with his own mortality and magic. Can Merlin defeat Wings of Fire and save Fincayra, or will the dragon be the death of both Merlin and the land? Another captivating read from Mr. T.A. Barron! This one takes us on so many twists and turns in Merlins quest to defeat Wings of Fire (because of course it does, does ANYTHING ever go straightforward and smooth for Merlin?). There was plenty of trickery, sabotage, and deceit to keep me guessing. One thing I really have come to expect and love with these books is the vast array of unusual and exciting new characters, and this one was no different. The deer people were fascinating to read about (I hope to see more of them in the future). Barron has a way of writing these characters that leaves me longing to roam the lands of Fincayra to meet and befriend them; to maybe be given a piece of magical antler and dash across the meadows and leap up mountains myself as a deer. *sigh* For now I suppose I will be content to be swept up in the words and pages of his books. Great continuation of the series, can't wait to jump into book 4!